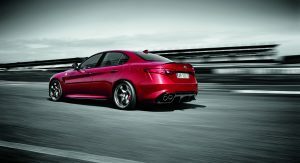 Alfa Romeo is said to be developing a Giulia coupe that will feature an advanced energy recovery system (ERS). 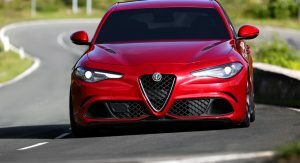 Citing unnamed sources, Autocar asserts that two Giulia coupe models are under development with ERS. 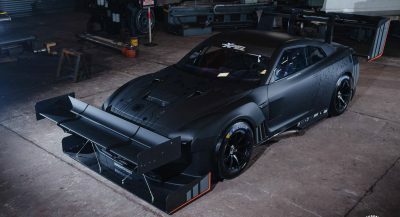 The first will use a 2.0-liter four-cylinder with 345 hp while the second will pair the firm’s 2.9-liter twin-turbo V6 with an energy recovery system to deliver a manic 641 hp. This isn’t the first time we’ve read reports of a Giulia coupe. In fact, previous claims have asserted that the vehicle will be dubbed the Giulia Sprint. 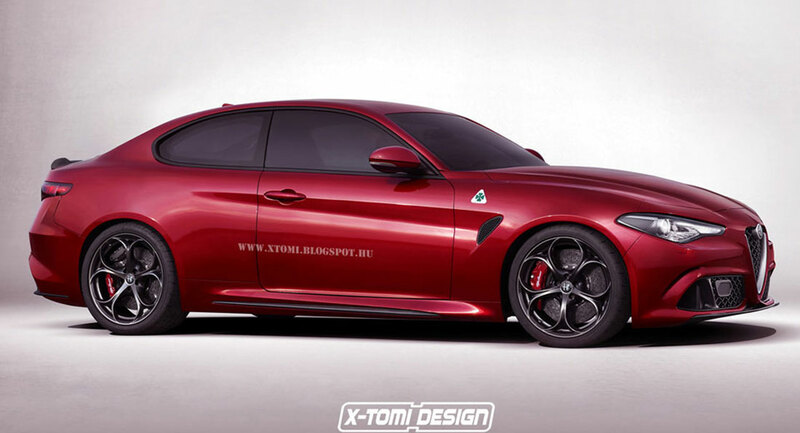 According to the report, the name Giulia GTV is also a possibility. If the Giulia coupe does see the light of day, it will obviously be based around the sedan but adopt two larger doors, a revised roofline, and custom rear quarter panels. 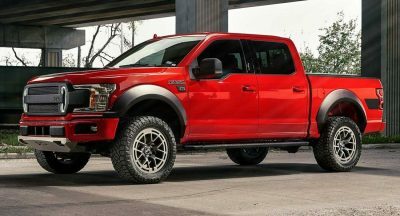 Minor changes could also be made up front to further distinguish the car from its four-door sibling. The above rendering from X-Tomi gives us a rough idea of what it could look like. 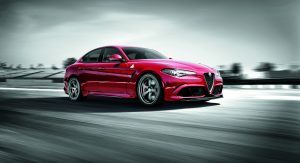 The ERS apparently being developed for the performance-oriented Giulia coupe models may be a development of the HY-KERS system used by the LaFerrari. It’s not impossible that Alfa Romeo will also draw on its recently-established partnership with the Sauber Formula One team to perfect the powertrain. 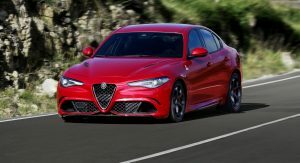 It goes without saying that a 641 hp Alfa Romeo Giulia coupe would be significantly faster than the BMW M4, Audi RS5, and Mercedes-AMG C63 S Coupe. 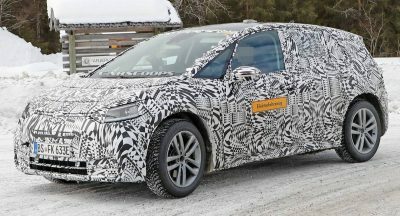 The car could arrive before the end of this year. However, we’re taking these reports with a grain of salt and suggest you do too. GTV or Fiat Coupé ? Reading the article, the 641hp engine would be above a normal 510hp Quadrifoglio, so it’ll probably be priced way above an M4 and a C63 S and actually compete with an M4 GTS and a potential C63 R. Plus this comes so late we’re talking about the next gen of those cars. Yeah it’s Alfa alright. Instead of bringing more affordable versions or introducing Giulia wagon / new Giulietta / smaller Stelvio they’re thinking about high performance Giulia Coupe and an 8C successor. I think the idea behind this (if true) is to further entrench some of the mythos behind the Alfa badge. 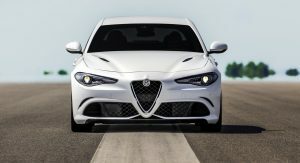 I just hope that Alfa has planned for the time it will take for people to get over their prejudices around the badge as well as create more cars and its reputation. The issue with Alfa (and FCA generally IMO) is that they don’t seem to have a plan. They seem to try something and then abandon it when it doesn’t meet their lofty targets. They haven’t, as yet, created a case enough for people to get away from tried and trusted badges like the teutons and even JLR, which arguably has as bad a reputation for reliability, but makes up for it by being patient as well as slowly improving their cars to better meet customer expectations. Yeah exactly, the problem with FCA is how easily plan and priority changed, like the Giulia estate and coupe. It was supposedly come out after Stelvio, but after Stelvio success they push them back for more SUV. Great addition to the lineup! There are always people that are willing to buy the most extreme cars and there are always people that want to look like they can (meaning Alfa will sell more standard Giulias aswell). Alot of different cars sharing the same components. A new convertible (the Giulia coupé without a roof?) and they are all set. They have talked about a larger saloon, but I think it’s a bad move (the same holds true for a wagon). Stick to Giulia, Giulia Coupe, Giula Spider and the Stelvio…. Many people are questioning Marchionne but they must be car enthuistiasts rather then economists. FCA is not where they aim to be, but comparing to when he was appointed as the CEO they have come a long way. They just need to improve the interior quality to be at a german level and it would be perfect. Love the idea of a coupe but I have no use for a “hybrid.” I’d really like a naturally aspirated V-6. I agree, I hope this is just a model that sits above a “normal” Giulia Sprint QV. 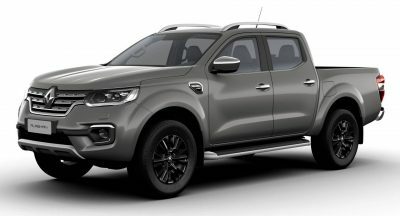 If they do make it, I want one in black. first the rumors have to be true, and then, knowing FCA, this won’t come this generation because it’ll be delayed, I wouldn’t even believe it’d make it into the lineup before a redesign if the rumors were about a sedan version. I don’t see a coupe being built until the next gen is being developed anyway and even then I doubt it only because 2 door models are such low volume cars and Alfa is already a low volume brand. 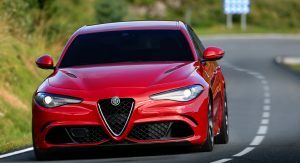 The original plan was Estate and Coupe version of Giulia after Stelvio, but after Stelvio success they push them back for large SUV, the proposed 164 replacement were also on hold and probably get canceled. But again if their SUV fails I wouldn’t surprised they would return to Giulia again. It’s FCA after all. If, true (likely not) that engine would be wasted on this car. Put it in a 5 or 7 Series fighter. I’ll believe it when I see it, but part of me doubts the larger SUV just because Maserati is already having trouble moving the Levante and the last thing they need is anymore trouble, especially coming from one of their own brands. Well don’t get your hopes up, they pushed this car way back after large SUV and Giulia estate, beside they already had halo car in terms of QV to attract people to showroom. This will be awesome if true! 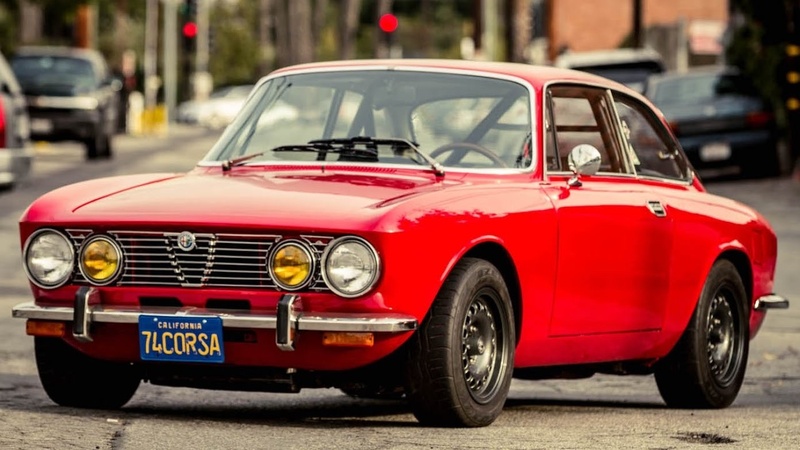 No, Sergio – this GTV, not a two-door version of of that jellybean Giulia.